Any type of plastic surgery is personal, and knowing the risks is important. This is especially true for breast augmentation. 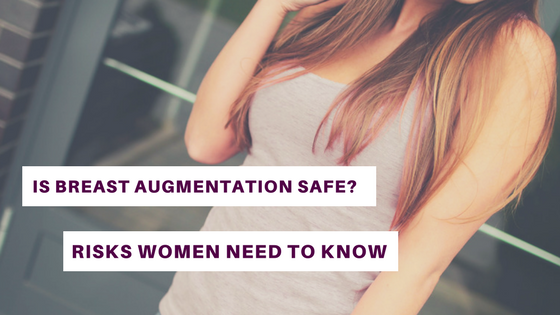 Knowing if breast augmentation is safe for you is the first step before deciding on having surgery. In many cases, women will need to weigh the risks with the goals of having plastic surgery. To make the most informed decision, let’s discuss risks and special considerations when it comes to this specific type of plastic surgery. Before deciding on whether or not to go through with this very personal form of plastic surgery, know the risks. There are a number of risks to consider. The above risks of breast implants and surgery are only a few. However, all these risks should be discussed with a doctor prior to surgery. You pressing questions about risks and during and post surgery are also essential to ask! Did you know that 84 percent of all breast implants in 2016 were silicon implants? And 16 percent were saline. There have been instances of health issues among women who have had silicone breast implants. These safety and health concerns should also be weighed when making your decision. Implants are not for life. Many women need to have surgery to replace them. Weight loss and pregnancy can cause breast implants to appear over time. Women need to have regularly scheduled breast exams to ensure implants are not causing health issues. If you have decided to go ahead with surgery, you may need to take steps to get ready for surgery. These steps include, a blood test, quite smoking and taking recreational drugs, taking medications or adjusting current prescribed meds. The decision to have any form of breast surgery is an important one. Knowing the risks can ensure you make the decision right for you personally. Do you have more questions you want answered immediately? Connect with our general physician doctors today via our FREE doctor chat by clicking the box below.